We went on a three hour whale watching trip today and it was fantastic! I’m pretty sure I’m saying everything is fantastic about this trip, but they truly were! We saw dozens of whales! And though the photos may not look it, they were SO close! Excellent! Keeping with the aquatic theme we then went to the well known aquarium down the road. 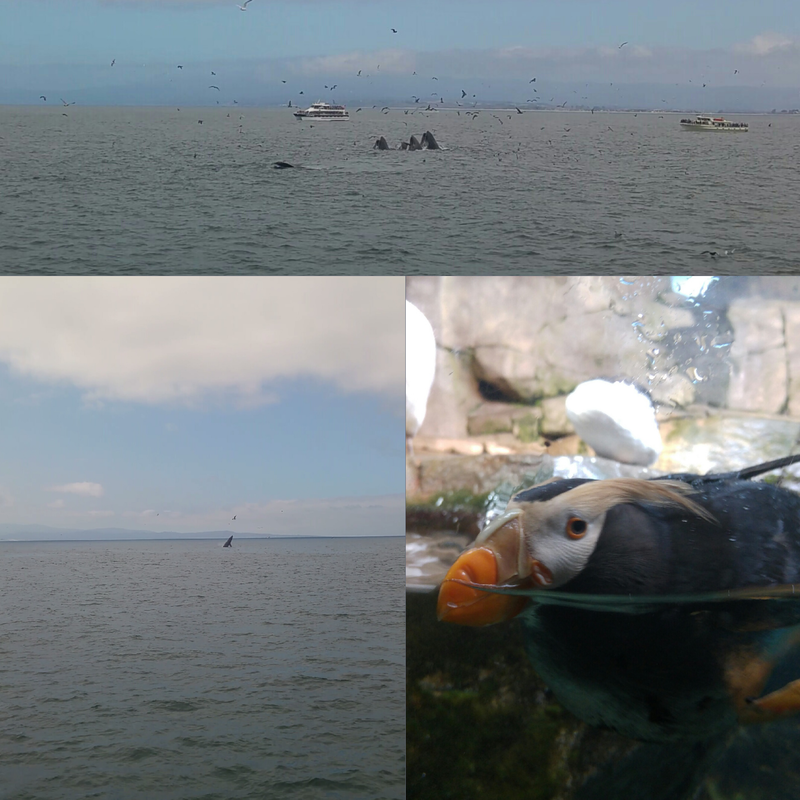 This was just as great as we saw loads of sea otters and puffins! What a great day for new animal experiences.